Once in a while, an audio product arrives that’s a failure in the consumer realm (such as the DAT format or Yamaha’s NS-10 speakers) but is a hit with pro recordists. Sony’s PCM-F1 is one such example. Originally designed as a means for consumers to make digital recordings of CDs, FM broadcasts or home performances, the PCM-F1 debuted in 1981. Sony’s PCM-F1 brought inexpensive digital recording to the masses. Essentially, the system combined a recording processor that used the EIAJ’s (Electronic Industries Association of Japan) 14-bit PCM specification for digitizing audio and storing it as a video signal – essentially a moving monochrome barcode. The concept of a two-piece system (connecting a PCM processor to any VCR – Beta, VHS or U-matic – for recording) was unpopular with consumers, but was a hit with studios. 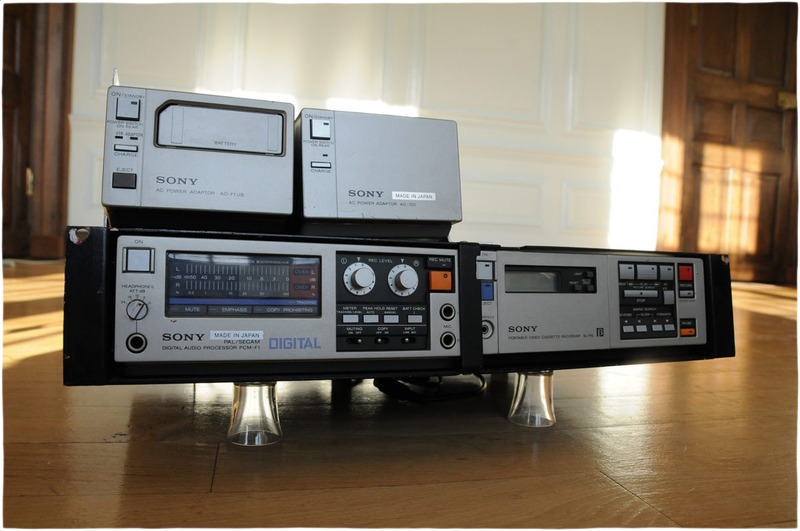 PCM processors from Aiwa, Akai, Sansui, JVC and Technics rigidly stuck to the 14-bit EIAJ standard; only Sony’s PCM-F1 as well as the later PCM-701/501/601 units and the Nakamichi DMP-100—a black-finish F1 with improved analog components—offered a choice of (switchable) 14/16-bit performance. Apogee Electronics once sold upgrades for replacing a PCM-F1’s anti-aliasing filters with high-performance Apogee versions. Recording on EIAJ digital processors had its ups and downs. Being video-based, the system recorded at 44.056 kHz rather than 44.1kHz and digital editing was difficult—at best—and only frame-accurate, requiring a high-end assembly editing rig with multiple synchronized decks. On the plus side, the processors had no moving parts, so a worn-out transport simply meant finding another VCR; and tape clones/backups could easily be made using two VCRs. And as the PCM-F1 had separate encode and decode circuitry, 4-track, sound-on-sound recordings were possible using one processor and two VCRs – with one designated as play/the other as record. Alternatively, one could make simultaneous 4-track recordings by combining the PCM digital tracks with a video deck’s “Hi-Fi” tracks. This was great for live recordings where a board mix or close-in mics went digital and room ambience/mix position mics were routed to the Hi-Fi tracks. 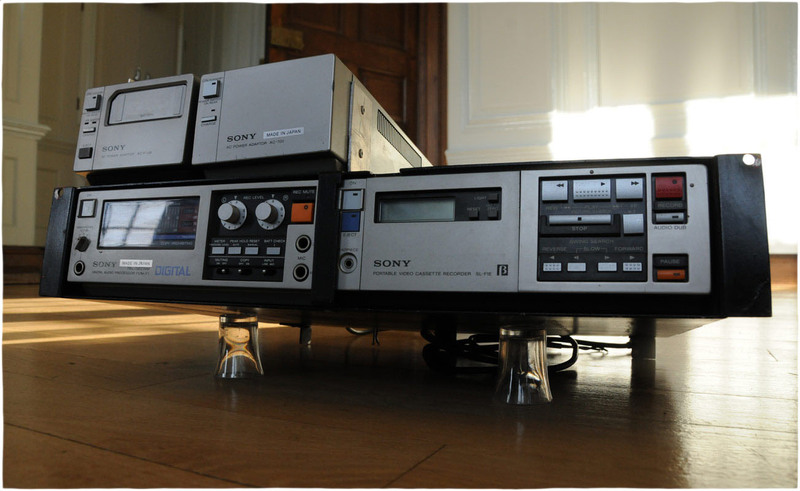 Paired with the SL-F1 Betamax deck, the PCM-F1 was the first portable, battery-operated digital recording system. A few brave souls even went so far as to make multitrack recordings using two (or more) synchronized PCM-F1s. But one thing was certain: whether stereo or 4-track, the democratization of digital had arrived.